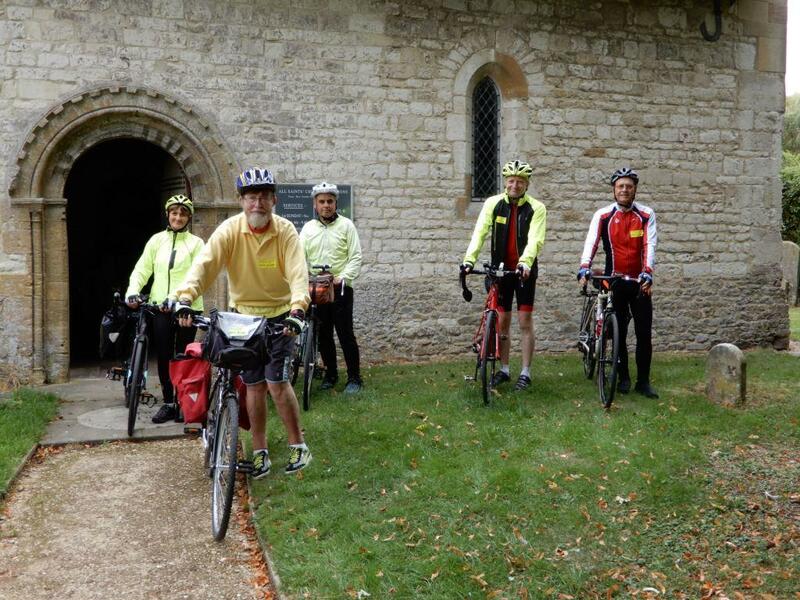 This Saturday sees the annual Oxfordshire Ride and Stride event in aid of the Oxfordshire Historic Churches Trust (further details can be found at: https://ohct.org.uk/ride-stride/ ). On the day over 500 churches and chapels in Oxfordshire are open to welcome visitors and the idea is to either stride or ride (awheel or ahoof) to visit as many as you like. It is a great opportunity to visit some of our local historic churches, some of which are rarely open to the public Many provide refreshments. Having led a ride from Grove with friends (including members of the club) for a number of years, this year Steve Swanton and I thought we would run it as a club ride. So the plan is for an all-day ride at the easier end of 2* with (obviously) a lot of stops. Some will be brief and some longer depending on particular points of interest and the temptation of refreshments. We plan to start as per usual at 9:30 from OMH with our first stop at the small church in West Challow. From there we'll climb to the springline to visit Childrey, Sparsholt and Kingston Lisle before dropping down to Uffington, where there will be refreshments in St. Mary's church all day. From Uffington, we plan an anti-clockwise tour of the western Vale and its historic churches. We can pick up refreshments on the way with a possible lunch stop at the Rose and Crown in Ashbury. If we complete the whole route, we can visit up to 23 churches, but there are a number of short-cut options. Although participants are encouraged to seek sponsorship, we normally make a donation. This is split between the OHCT and a church you can nominate. Please contact Steve (07857 527990) or Gareth (07817 701644) for more information. It's an interesting and fun day out and a very social day awheel. Do join us for some or all of the day. As advertised this was an unusual ride which made use of the opportunity to visit many churches in the Vale as part of the "Ride and Stride" event. Steve Swanton had come up with a good route which meant that participants could do all or part of the ride -which was what happened. We made good use of the opportunities to look round the churches which often had people present who could point out the interesting features. One highlight was a chance to go up the church tower at Shrivenham. Lunch was had at Woolstone and drinks and biscuits were available at most of the churches - I will have put on significant weight despite a day's cycling. The main group got as far west as Hinton Parva and the time spent looking round the churches meant we didn't get back until around 7pm. This event is one of my favourite days of the year - and this years ride and company didn't disappoint. Even the weather stayed pretty dry - the forecast rain didn't appear. Thank you Gareth & Steve for a very memorable day! !